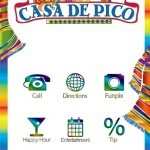 Download Casa de Pico’s Mobile App! 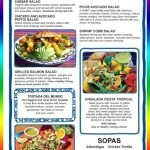 Have you downloaded the Casa de Pico restaurant app? You can quickly give us a call, calculate your tip, view our Happy Hour specials AND take great photos marked with our logo! This app conveniently places our menu, specials and entertainment schedule in the palm of your hands. Any information you might need to plan your Casa de Pico Mexican dining experience can now be on the home screen of your smart phone. 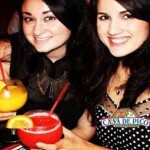 Pick a date, grab a friend and document your fiesta with our Casa de Pico Funpix! Don’t forget to share your photos with us by tagging #CasadePico.